It's a murder mystery of an Omaha native that's grabbed national headlines. 27-year-old Seth Rich was shot and killed walking home in Washington DC where he worked for the Democratic National Committee. Police have released few clues and his killer is still out there. “It's definitely not a cold case nor will it ever be,” said Seth Rich's mom Mary. 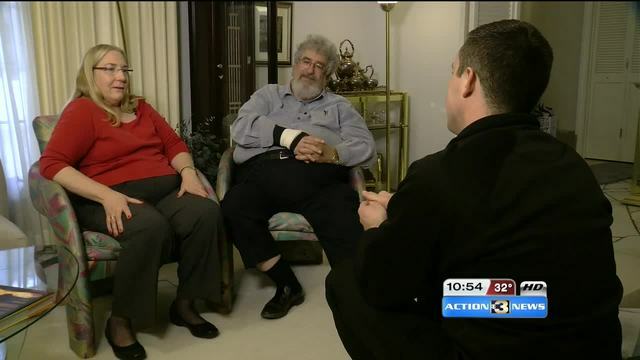 Mary and Joel Rich want answers to their son Seth’s murder but right now police don't have any. “Our son's dead, there are two murderers running wild, and these two murderers are people who shot a kid in the back,” said Mary. According to Metro Police in DC, in the early morning hours of July 10, 2016 as he was walking home. Police found Rich lying on the ground in the Bloomingdale neighborhood shot twice in the back. He later died at a hospital. Police say nothing was taken from Rich and they are looking into whether it was a botched robbery. “There is no good strong evidence, it was 4 in the morning and not people walking by-so it's going to take a lead,” said Joel. “It was the same weekend when they were shooting all of the officers and the other people, it was that weekend-he could have been caught up in a hate crime,” said Mary. Rich went to Central High School then studied political science at Creighton University. He moved to DC and worked as the voter expansion data director for the Democratic National Committee. “Seth is a kid that believed in America and he wanted to help everybody, anybody,” said Mary. Not only are the Rich's grieving their son's murder they also have to deal with speculation and rumors about his death. Everything from working with Wikileaks to releasing DNC emails to the Clinton’s killing him. and now the Russians killed Rich. Wikileaks added to the speculation by offering up a $20,000 reward to help find Seth's killer. Joel Rich says they didn't think his son's death would turn into a crisis. “I got a call from the Washington Post 15 minutes after it was posted, it went through my mind, what is happening and how do I process this,” said Joel. So they hired a crisis consultant to handle all the speculative questions. “And at that point, whenever the phone would ring at home we wouldn't answer it, we just let it go to a message,” said Joel. The Rich's deny their son's involvement in releasing any emails. “My two words are going to be ‘prove it’,” said Joel. While Rich worked at the DNC his parents they say he didn't have any access to the emails. “The rumors are that he did all this and gave all the emails out, that then created the fury, that allowed trump to win-two different breaks in what way you want to go with it,” said Mary. “The problem is, how do you disprove a lie?” said Joel. In the meantime, as the Rich's fight off the rumors they're trying to find Seth’s killer. 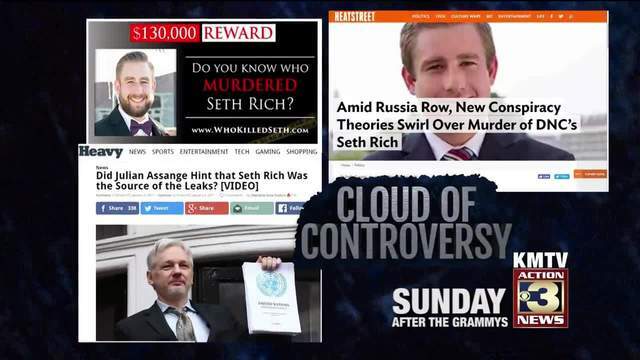 They went to DC to hand out flyers and bought "Who killed Seth" billboards with his picture and a website for tips. “Our big goal now is to find who murdered our son,” said Joel. Even GOP lobbyist Jack Burkman pitched in $105,000 to raise the reward to $150-thousand dollars to find Rich's killers. “Such a wonderful blessing for him to step out and help us,” said Mary. Help from the DC community to solve an Omaha native's murder put an end to the rumors and get answers. “Along with grieving, we're also still perpetuating and moving forward, Seth would not want us to stop living, stop enjoying life, stop laughing,” said Mary. The Rich family said scholarships were created in Seth's name for kids to attend camps and at Creighton University.